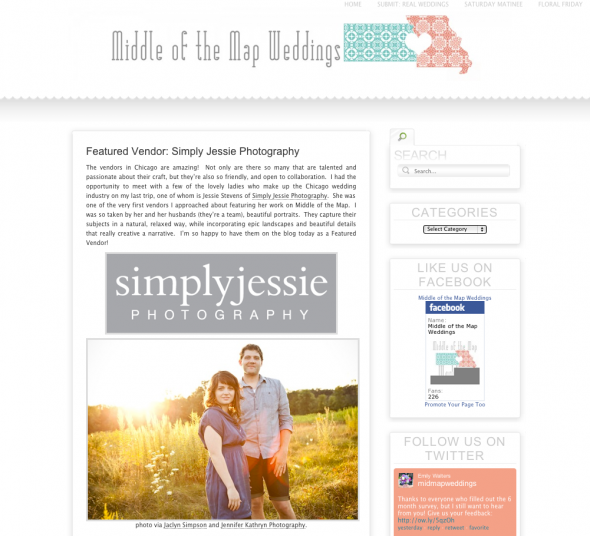 Featured | Simply Jessie Photography in the press! 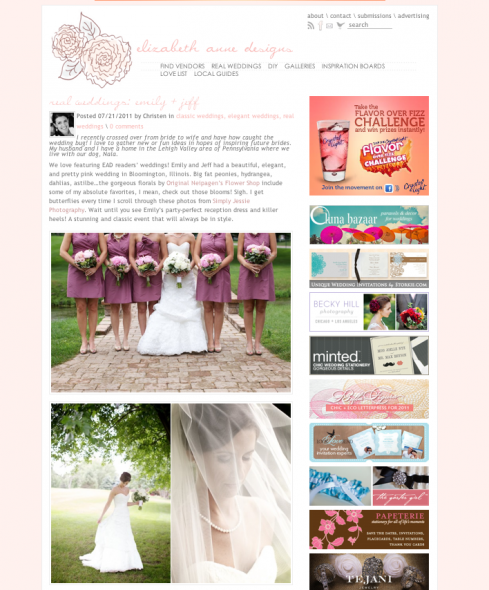 Thrilled to wake up with an email annoucning Emily & Jeff's wedding featured on the always wonderful Elizabeth Anne Designs! Emily is an EAD reader and her placecard table inpired by an previous EAD inspiration. They were tickled to see it in a real wedding! Go on over and take a look! The lovely Hey Gorgeous Blog was smitten with Chris and Salina's city affair! Middle of the Map Weddings did a little interview of Eric and I on why we are in this business to begin with, where we are located and what we like to shoot when not with bride & grooms! Middle of the Maps also featured Ariel & Dave's relaxed summer reception celebration. Thanks to all these wonderful blogs! Go add them to your reader!